We all know that food brings people together. 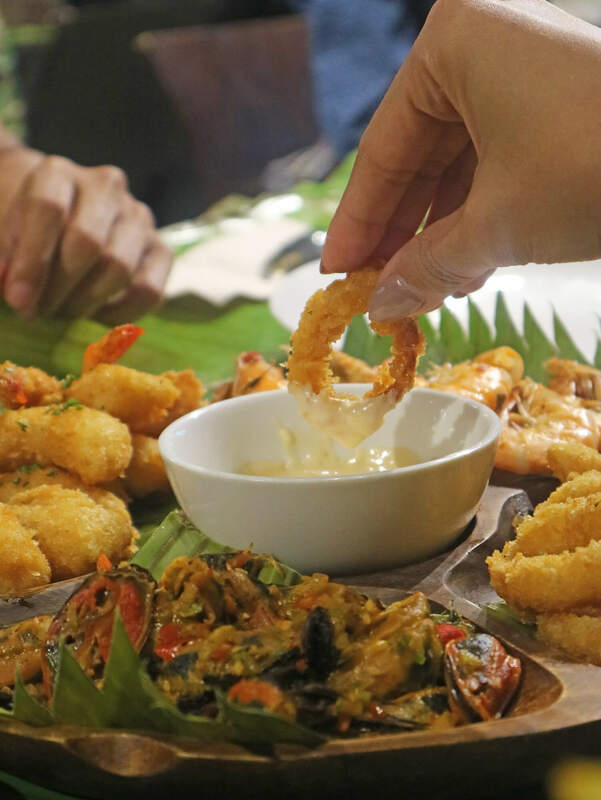 And a few weeks ago, we were invited to a get-together with some foodie friends at Makati’s Petra & Pilar. But this was no ordinary meet up. As soon as I stepped in Petra & Pilar, I was immediately greeted by friends sitting on two (2) long tables brimming with food, food, and more food. Only did I realize, this restaurant is not your ordinary run-of-the-mill Filipino-themed restaurant. 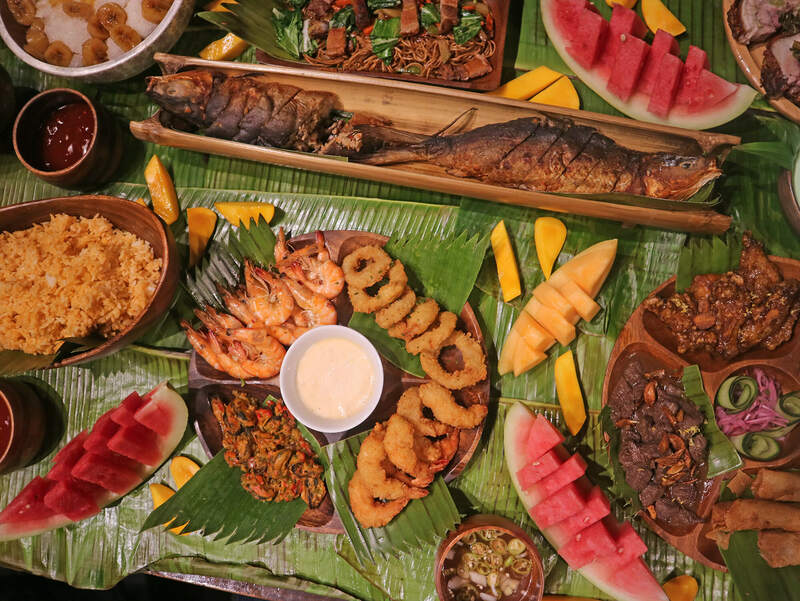 We were up for a FIESTA— a Boozy Boodle Fight at Petra & Pilar! Complete with refreshing home-concocted cocktails and acoustic entertainment. Here’s what you missed! 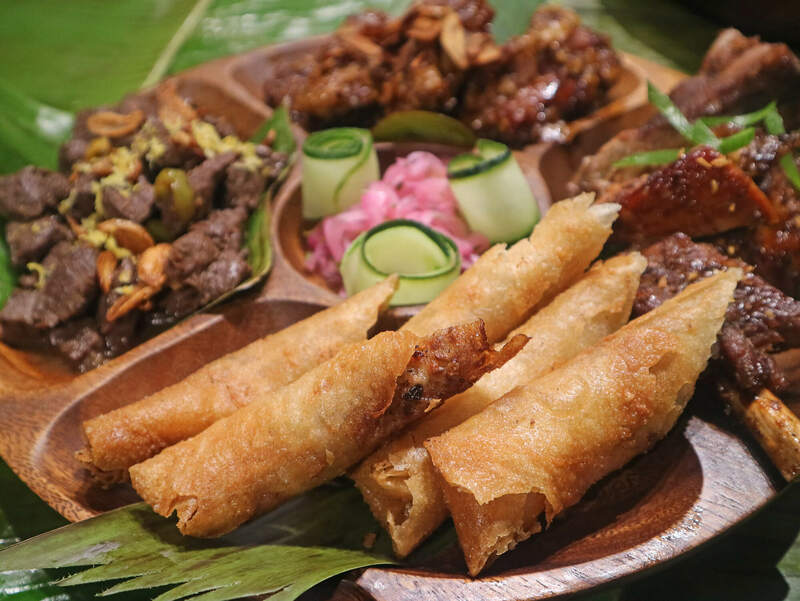 If you like food variety as much as we do, this is for you! They say food tastes better when you eat with friends and family. 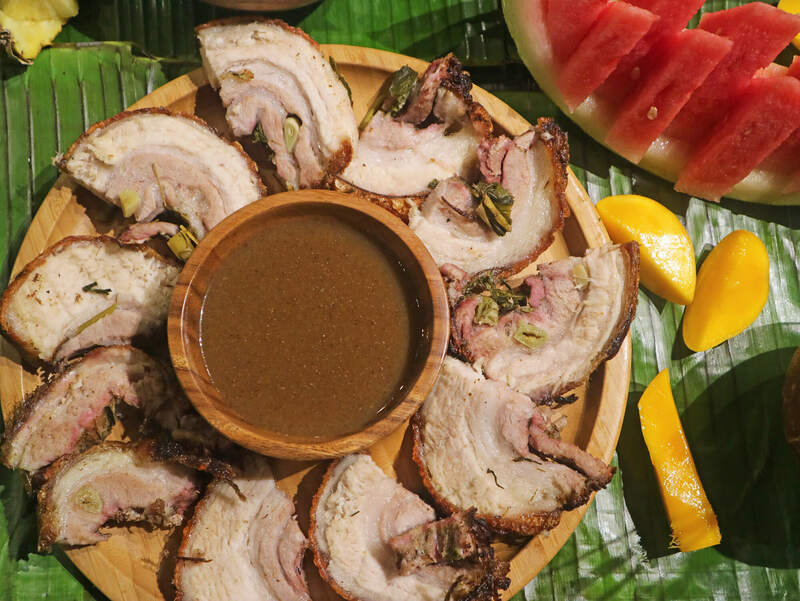 So come and enjoy Petra & Pilar’s Barkada Boodle. 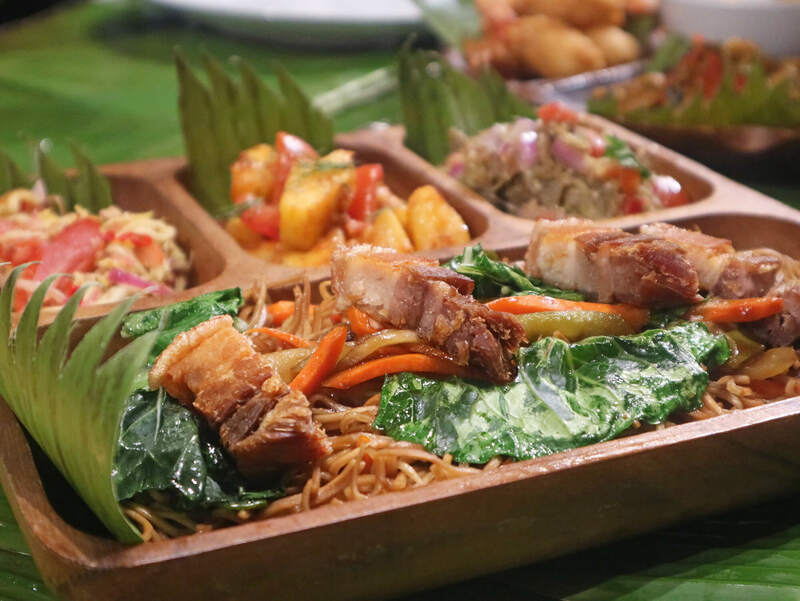 Petra & Pilar has three specially-curated mouthwatering Barkada Boodles for diners to choose from. This is it pancit! 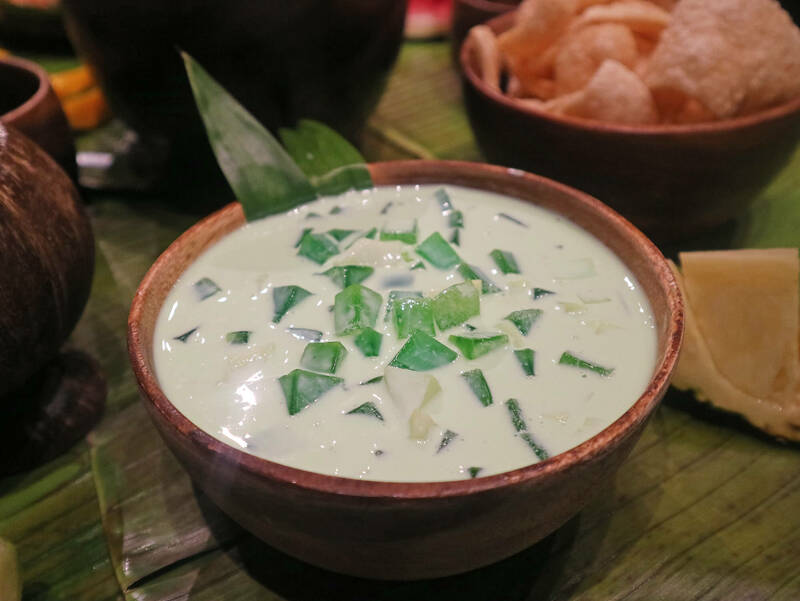 Throw your own fiesta with Petra & Pilar’s Fiesta Boodle. 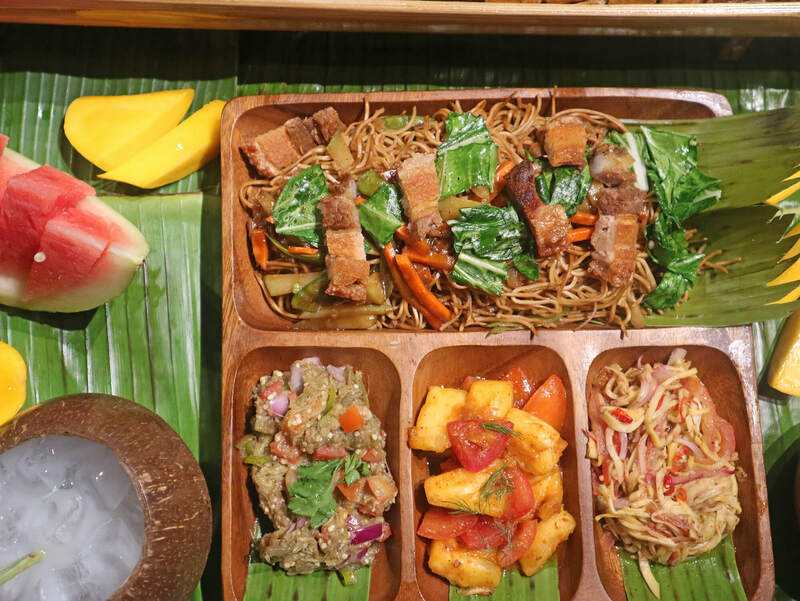 Pancit Habhab, Chicken Pork Adobo, Pork BBQ, Hilabos na Hipon, Kropek, Garlic Rice, Pineapple Tomato salad in Crab Fat, Itlog na Maalat, and Saging Con Yelo. Feeling extravagant? 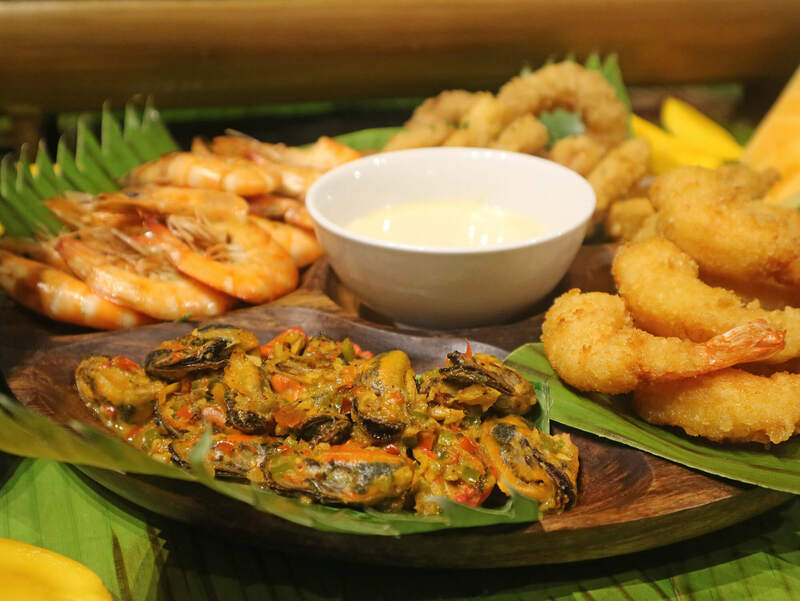 Go all in with the Blowout Boodle Fight from Petra & Pilar. 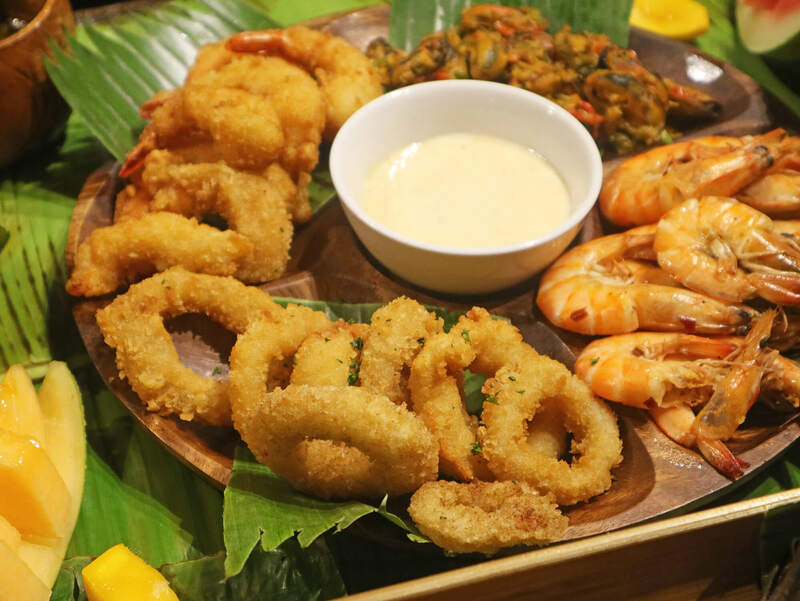 Indulge on Pancit Canton, Fried Calamari, Breaded Porkchop, Chicken Inasal, Kropek, Crab Fat Rice, Ensaladang Talong with Bagoong, and Fresh Fruits. Loved their Fried Calamari! Fresh squid with a light tasty coating! Honestly, it’s hard to choose which of the three was my favorite since each one had my top food picks. I personally enjoyed the Pancit Habhab, Hilabos na Hipon, Crab Fat Rice, Fried Calamari, and Spicy Tahong. I absolutely loved their Porchetta too. 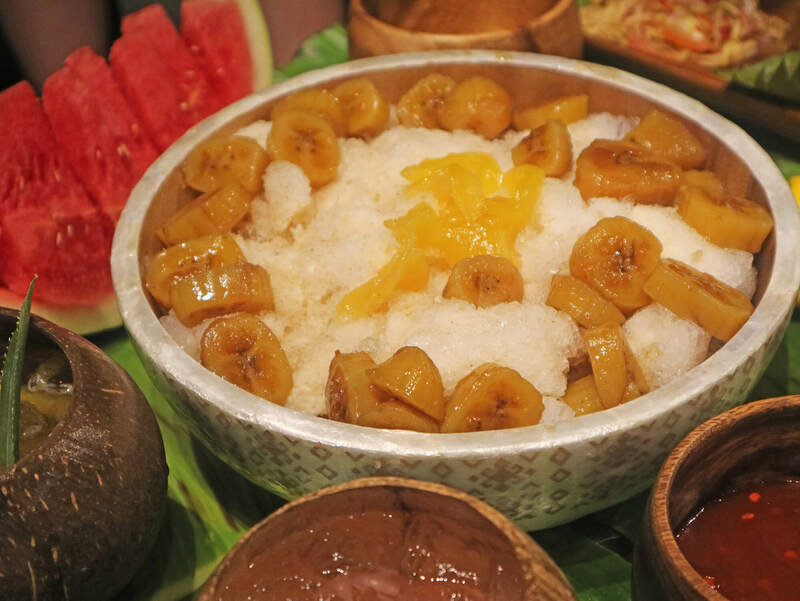 For dessert, the Saging con Yelo was the clear winner! Of course no fiesta is complete without drinks, right? And drinks were overflowing! For that night, Petra & Pilar let us sample their Pinoy Summer Cocktails. Which were basically mixes inspired by local fruits infused with some with famous cocktails. Sadly, my tummy was acting up that night so I opted to just take a sip from each to taste the summer flavors. We had three drinks with our Boodle Fight at Petra & Pilar. The Coco Loco: Vodka with house made Coconut and Lemongrass syrup. The Manila Sunshine: Lambanog base with fresh Pineapple and mango. The Gin Cala: Gin and house made spicy Ginger syrup. And lastly my favorite, the refreshing Binibining Paloma: Fresh Pomelo, Tequila and house made Bay leaf syrup. Petra & Pilar Restaurant re-opened its doors last October 2016, providing the surrounding clientele with a fully stocked bar, draft beer and signature cocktails such as P&P vs GT (Petra’s own twist on the classic Gin & Tonic). Petra & Pilar is located at the ground floor, JAKA Center Building, Urban Ave. corner Pasong Tamo, Makati City. 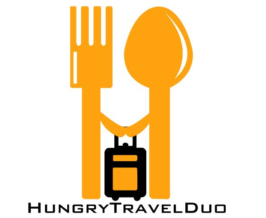 Their menu features a wide range of options from breakfast to dinner. Open Mondays through Fridays at 7am to 12 midnight. And Saturdays from 7am to 3pm. The restaurant can sit 100 guests comfortably, more or less. Perfect for company parties, corporate meetings, product launches and the like. Been here? Comment down below! Ground Floor, JAKA Center Building, Urban Ave. corner Pasong Tamo, Makati City.